There is no doubt that holidays are the time in which we can take some time-out from the ‘real world’ and escape. What could be better for relaxation and rejuvenation than making use of a first-class adult only spa at your luxury hotel? Located on the sunny island of Cyprus is the adult-only five-star Constantinou Bros Asimina Suites Hotel which boasts a superb, stylish spa. This all-suite hotel is the perfect retreat for any adult seeking to enjoy the sun and sea alongside a spot of pampering. 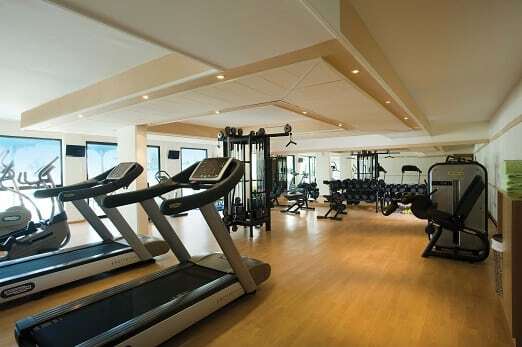 Immerse yourself in this exquisite environment and discover the perfect harmony between mind and body. 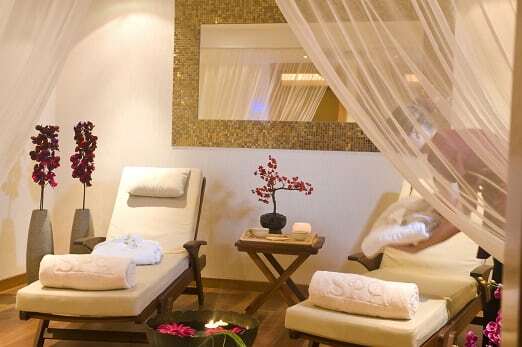 The spa features an exceptional range of therapeutic massages, oriental treatments and body treatments. There is also a choice of aromatherapy and thalasso therapies for you to choose from. Head to the hydrotherapy room, ideal for soothing those aches and pains or the steam bath to cleanse your skin. To embrace the warm weather you can opt for a treatment in the wonderful, private open-air massage area where you can enjoy views of the sea. Lie back and relax and let your mind drift into pure relaxation as the sound of the waves lap the beach. The Elixir Spa boasts two saunas one of which is a particular talking point, as it is use is strictly for nudists – the only one of its kind in Cyprus. There are signature treatments for you to indulge in as well as signature couples packages, spa wedding packages and spa honeymoon packages for those looking to celebrate a special occasion. For couples wanting to relax and enjoy time together there is the Elixir Couples Suite. Below we’ve listed a handpicked selection of some of the spa’s finest signature treatments that you simply won’t be able to resist. The Muscle Tension Relief Massage is simply ideal for soothing the aches and pains of tired muscles. Discover the power of gold with a full body massage accompanied by an aromatic blend of gold flakes and essential oils. Prices from €75.00 for 45 minutes. For those looking to enter a deep state of relaxation the Tension Ease Rhythmic Massage combines an aromatic herbal compress made up of a mix of therapeutic herbs and spices wrapped tightly in muslin and then infused in steam. The muslin is applied with a unique rhythmic massage technique over the body to create waves of relaxation, relieving stress and tension. This treatment aims to improve circulation and general wellbeing. Prices from €70.00 for 50 minutes. You won’t come out smelling of roses but instead a sweet island paradise with the Polynesian Exotic Island Body Scrub. With vanilla oil blended with pure white sand from Bora-Bora, sea salt, coconut shell and algo-monoi your entire body will feel cleansed, exfoliated and smelling divine. Enjoy from €58.00 for 45 minutes. The ultimate indulgence comes in the form of a Pure Chocolate Body Wrap. The treatment begins with a full body exfoliation and then comes the delicious warm chocolate body wrap. Immerse yourself in the aroma of pure chocolate whilst you receive a relaxing scalp massage. Quite possibly the most guilt-free chocolate treat out there you will be sure to leave feeling fabulous. 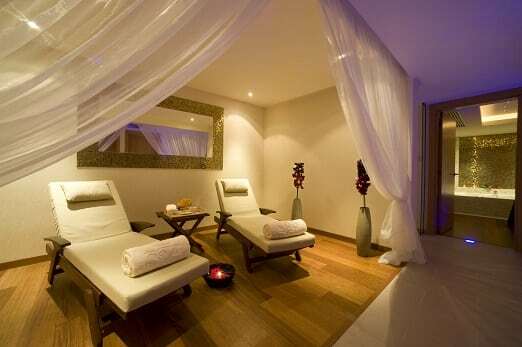 Enjoy this treatment from €75.00 for 1 hour 15 minutes. When you’re not relaxing at the Elixir Spa guests can enjoy the outdoor pool, fitness centre or the beach which is but a stone’s throw away. 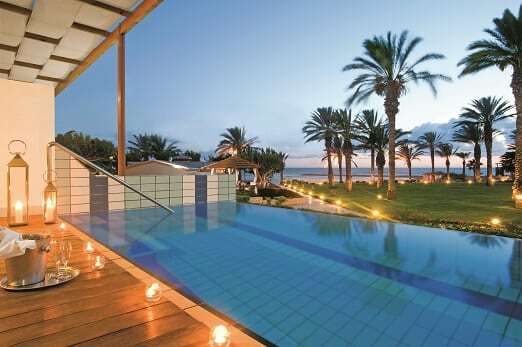 Close to Paphos and the harbour the hotels excellent location means that the town centre is within easy reach. This all-suite hotel offers the most luxurious accommodation with executive suites boasting private pools. For those looking for an adults-only spa retreat, look no further. Please note that prices are correct at time of publish. Need more inspiration? Visit our post for the top reasons to choose a luxury spa holiday.